Staffeye is aimed to optimize and speed up common people management tasks that you need to solve when working with a group of people. Once you've got your Staffeye account for your company, you'll need to describe the job positions your company uses, this will help to improve how people is profiled within the organization. These job positions specify the group of soft and hard skills that the people of your company's staff will need to fulfill. Measuring how people if fulfilling the skills required by their job positions is a basic need of any company. 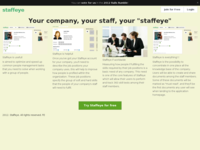 This need is one of the core features of Staffeye which will allow their users to perform and track 360 skill tests among their staff members. 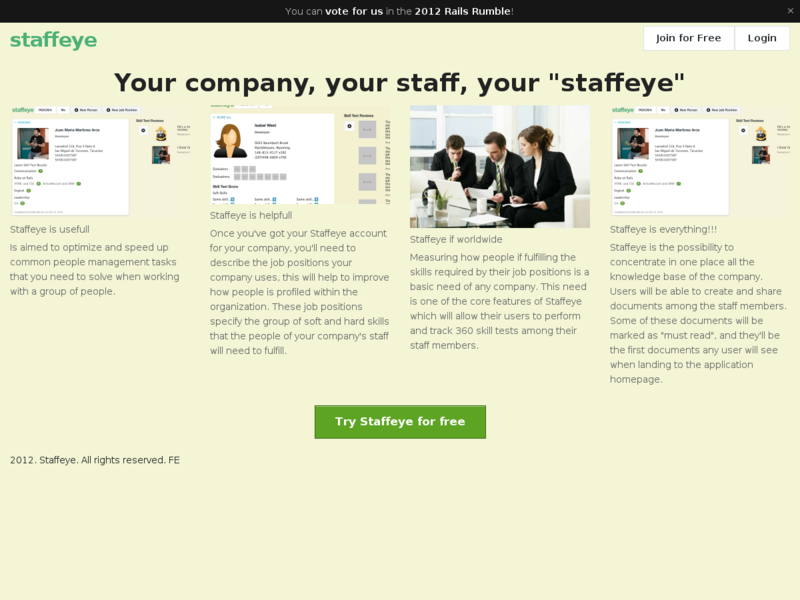 Another core feature of Staffeye is the possibility to concentrate in one place all the knowledge base of the company. 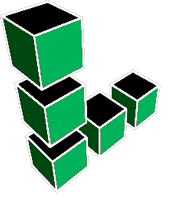 Users will be able to create and share documents among the staff members. Some of these documents will be marked as "must read", and they'll be the first documents any user will see when landing to the application homepage. We are ambitious and we know it! Built By Team "Pink Pokemons"